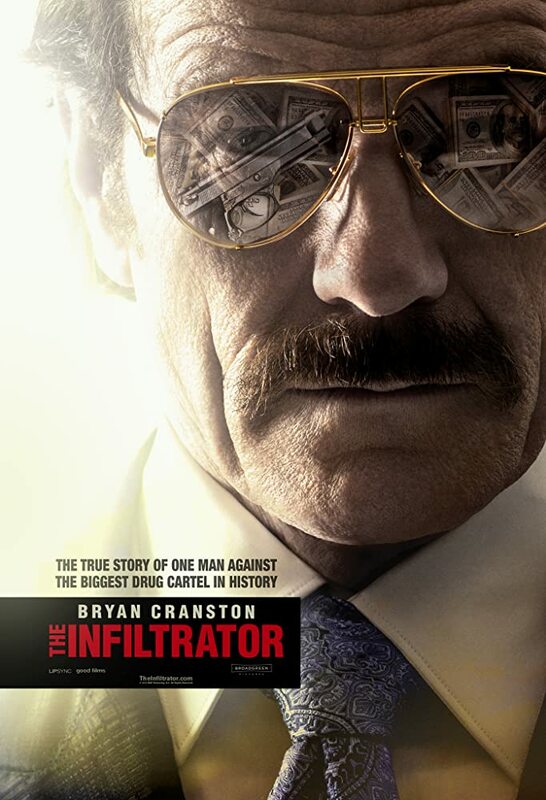 Breaking Bad's Bryan Cranston and John Leguizamo team up The Infiltrator playing undercover agents who are tasked with infiltrating the drug cartel's money laundering schemes. True story that has lots of action and was surprisingly good. Was not aware of this one; do check it out on DVD some time! For more, see IMDB. 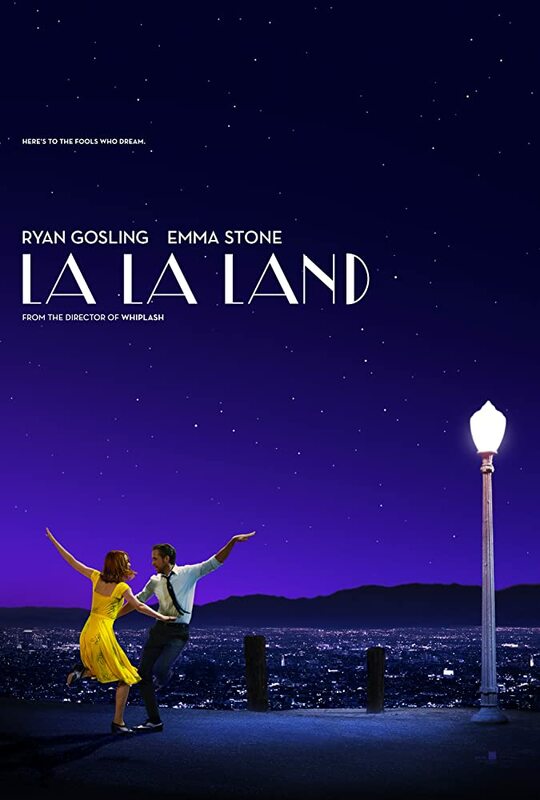 Ryan Gosling and Emma Stone together again in a vintage Cinemascope movie! This round Ryan plays Sebastian - a talented but broke jazz pianist working to save enough to open his own Jazz Club. And, Emma plays Mia - a struggling actress trying to start her career in Hollywood. They meet briefly while in a traffic jam. Later, they bump into each other at a restaurant that Sebastian is playing piano for tips, and then again while at a party! Had to see it at the movie theater to get the full effect. Glad I did... this one is easily a "Safe First Date Movie". Really liked this one even with the corny breakouts of song and dance the entire movie... it's vintage baby! Do enjoy being entertained by two great actors and check it out when you get a chance! For more on the movie, see IMDB. 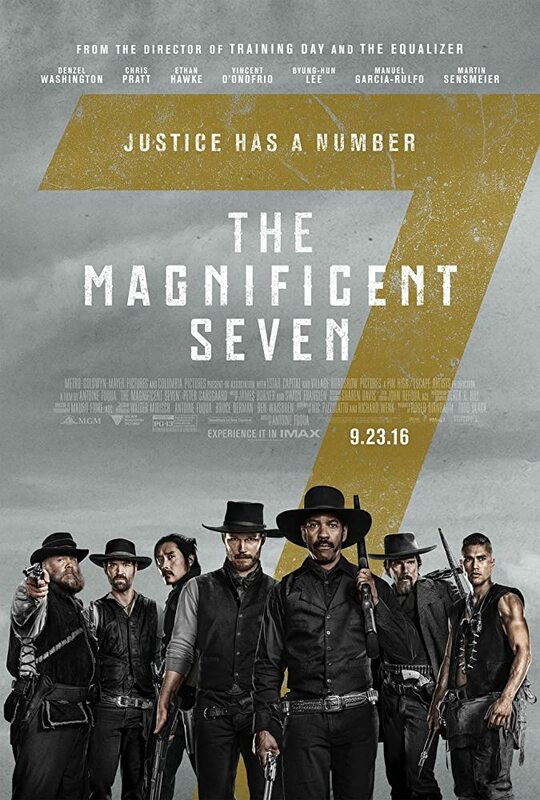 Remake of the classig 60's western Magnificent Seven. Was wary of this one at first but was pleasantly surprised. Did a good job in making this one happen! Denzel Washington and a host of sidekicks played well together in this movie. Moreover, Peter Sarsgaard bad guy role created the right feel for the "bad guy needs to be put in his place" genre. Even better, Haley Bennett aka Cora Corman from Music and Lyrics played the damsel in distress role but with a twist - this one is pretty and can shoot, too! For more on the movie, see it on IMDB.